Capt. Christopher Blackburn-1 was born about 1636 in England. He died in Jun 1694 in Essex, Virginia, USA. I am not sure wether Abigail is the mother of Elias or Katherine was? Elias Blackburn was born about 1666 in Old Rappahannock County, Virginia. He died in 1770 in Old Rappahannock County, Virginia. Capt. Christopher Blackburn and Abigail Blackburn married.They had no children. Elias Blackburn-2 (Capt. Christopher-1) was born about 1666 in Old Rappahannock County, Virginia. He died in 1770 in Old Rappahannock County, Virginia. Ambrose Blackburn Sr.[2, 3, 4] was born about 1696 in Old Rappahannock County, Virginia. He died in 1754 in Caroline, Virginia, USA. Christopher Blackburn was born in 1690 in Caroline, Virginia, USA. He died in 1765 in Caroline, Virginia, USA. Elias Blackburn was born in 1689 in Old Rappahannock County, Virginia. He died in 1770 in Caroline, Virginia, USA. Ambrose Blackburn Sr.-3 (Elias-2, Capt. Christopher-1)[2, 3, 4] was born about 1696 in Old Rappahannock County, Virginia. He died in 1754 in Caroline, Virginia, USA. Ambrose Blackburn I, son of Elias Blackburn of Caroline, Essex County, Virginia, brother of Christopher Blackburn II, married Elizabeth Jones, a relative of Gabriel Jones. He left Virginia about 1760 and settled in Stokes County, North Carolina. County records show that he was there in 1761 and 1770. He later moved to Greenville District, South Carolina. He died in 1777. Newman W. Blackburn was born about 1736 in Caroline, Virginia, USA. He died about 1772 in Surry County, North Carolina, USA. Ambrose Blackburn Jr. was born about 1750 in Essex, Virginia, USA. He died in 1820 in Tennessee, USA. Augustine Blackburn was born about 1745. He died in 1797. Ann Blackburn was born on 28 Apr 1750. She died on 16 Feb 1827. Robert Blackburn was born about 1725. He died in Virginia, USA. Newman W. Blackburn-4 (Ambrose-3, Elias-2, Capt. Christopher-1) was born about 1736 in Caroline, Virginia, USA. He died about 1772 in Surry County, North Carolina, USA. Elizabeth Younger was born in 1736 in Caroline, Virginia, USA. Israel Blackburn was born about 1772 in Stokes, North Carolina, USA. He died about 1845 in Robertson County, Tennessee, USA. Younger Blackburn was born about 1755. William Blackburn was born in 1767 in Surry County, North Carolina, USA. Reuben Blackburn was born in 1770 in Surry County, North Carolina, USA. John Blackburn was born in 1762 in Surry County, North Carolina, USA. Mary Blackburn was born about 1768 in Surry County, North Carolina, USA. Israel Blackburn-5 (Newman W.-4, Ambrose-3, Elias-2, Capt. Christopher-1) was born about 1772 in Stokes, North Carolina, USA. He died about 1845 in Robertson County, Tennessee, USA. Enos Blackburn was born in 1807 in Stokes, North Carolina, USA. He died in 1872 in Saline, Illinois, USA. 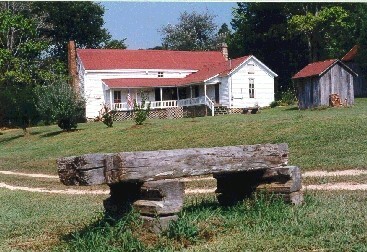 He married Elizabeth Bridgewater in Robertson County, Tennessee, USA. James Newman Blackburn was born about 1826 in Tennessee, USA. Martha Blackburn was born about 1800. Enos Blackburn-6 (Israel-5, Newman W.-4, Ambrose-3, Elias-2, Capt. Christopher-1) was born in 1807 in Stokes, North Carolina, USA. He died in 1872 in Saline, Illinois, USA. Elizabeth Bridgewater was born in 1807 in Robertson County, Tennessee, USA. She died before 1880 in Saline, Illinois, USA. Marshall W. Blackburn was born in May 1847 in Robertson County, Tennessee, USA. He died on 05 Oct 1904 in Marion, Illinois. Wilmoth M. Blackburn was born in 1834 in Tennessee, USA. Archibald Blackburn was born on 28 Aug 1835 in Robertson County, Tennessee, USA. He died on 17 Apr 1898 in Saline, Illinois, USA. Angelina Blackburn was born about 1838 in Robertson, Tennessee, USA. Elisha J. Blackburn was born on 29 Aug 1840 in Robertson County, Tennessee, USA. William Henry Blackburn was born about 1842 in Robertson County, Tennessee, USA. Gilbert Coleman Blackburn was born on 01 Sep 1846 in Robertson County, Tennessee, USA. He died on 29 Mar 1940 in Marion, Williamson, Illinois, USA. Susan Blackburn was born in 1850 in Robertson County, Tennessee, USA. Marshall W. Blackburn-7 (Enos-6, Israel-5, Newman W.-4, Ambrose-3, Elias-2, Capt. Christopher-1) was born in May 1847 in Robertson County, Tennessee, USA. He died on 05 Oct 1904 in Marion, Illinois. 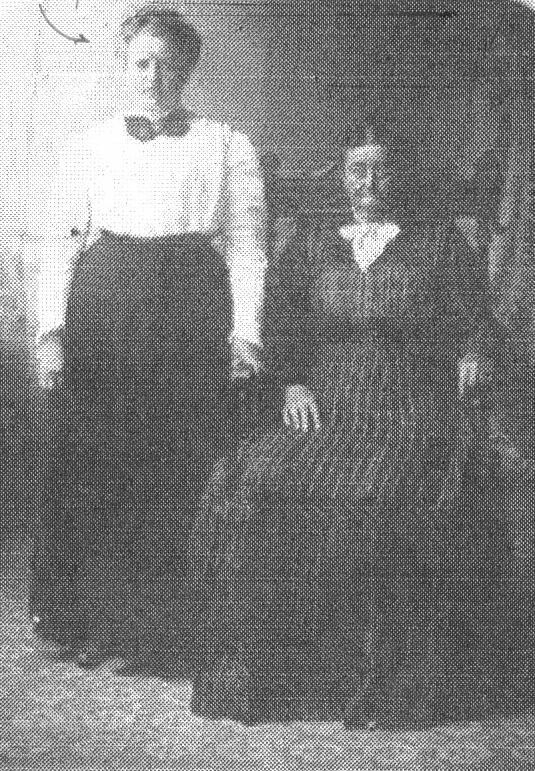 Elizabeth Horn was born in Jan 1855. She died in Williamson , Illinois. Albert Esco Blackburn was born on 17 May 1876 in Marion, Williamson, Illinois, USA. He died on 27 Apr 1949 in Marion, Williamson, Illinois, USA. William Elmer Blackburn was born on 10 Mar 1881 in Saline, Illinois, USA. He died on 10 Nov 1927 in Marion, Williamson, Illinois, USA. James Edward Blackburn was born on 17 Feb 1889 in Marion, Williamson, Illinois, USA. He died on 26 Aug 1921 in Marion, Williamson, Illinois, USA. Mary Etta Blackburn was born on 06 Nov 1884 in Galatia, Illinois. She married Milo Neely Hill in 1903. She died on 07 Sep 1931 in Marion, Illinois. Mary Etta Blackburn-8 (Marshall W.-7, Enos-6, Israel-5, Newman W.-4, Ambrose-3, Elias-2, Capt. Christopher-1) was born on 06 Nov 1884 in Galatia, Illinois. She died on 07 Sep 1931 in Marion, Illinois. Milo Neely Hill son of John Francis Hill and Susan Neely[6, 7, 8, 9, 10] was born on 26 Feb 1884 in Williamson , Illinois[6, 7, 8, 9, 10]. He died on 20 Apr 1965 in Marion, Illinois. Cicel Esko Hill was born on 03 Mar 1904 in Marion, Williamson, Illinois, USA. He died on 17 May 1978. Orville Arno Hill was born on 21 Jul 1908 in Williamson, Illinois. He married Mary Alberta Hanks on 09 Jan 1932 in Marion, Illinois. He died on 01 Apr 1989 in Marion, Illinois. Annie Eveline Hill was born on 08 Mar 1911. Edith Marie Hill was born on 08 Oct 1915. Herbert Lee Hill was born on 02 Jun 1917. He died on 20 Mar 1949. He married Lorene McDaniels on 15 Dec 1950. Orville Arno Hill-9 (Mary Etta-8, Marshall W.-7, Enos-6, Israel-5, Newman W.-4, Ambrose-3, Elias-2, Capt. Christopher-1) was born on 21 Jul 1908 in Williamson, Illinois. He died on 01 Apr 1989 in Marion, Illinois. Mary Alberta Hanks daughter of Oscar Thomas Hanks and Emma Marie Reese was born on 19 Aug 1915 in Williamson , Illinois. She died on 13 Sep 2005 in Marion, Illinois. THE BENJAMIN BLACKBURN FAMILY AND NOTES ON BLACKBURNS IN AMERICA, W.A. Challacombe, reprinted in 1988. Surry Co DB A, p3. 1768 Taxables for Rowan Co, NC, Upper Dan. Surry County, North Carolina, wills, 1771-1827: annotated genealogical abstracts.